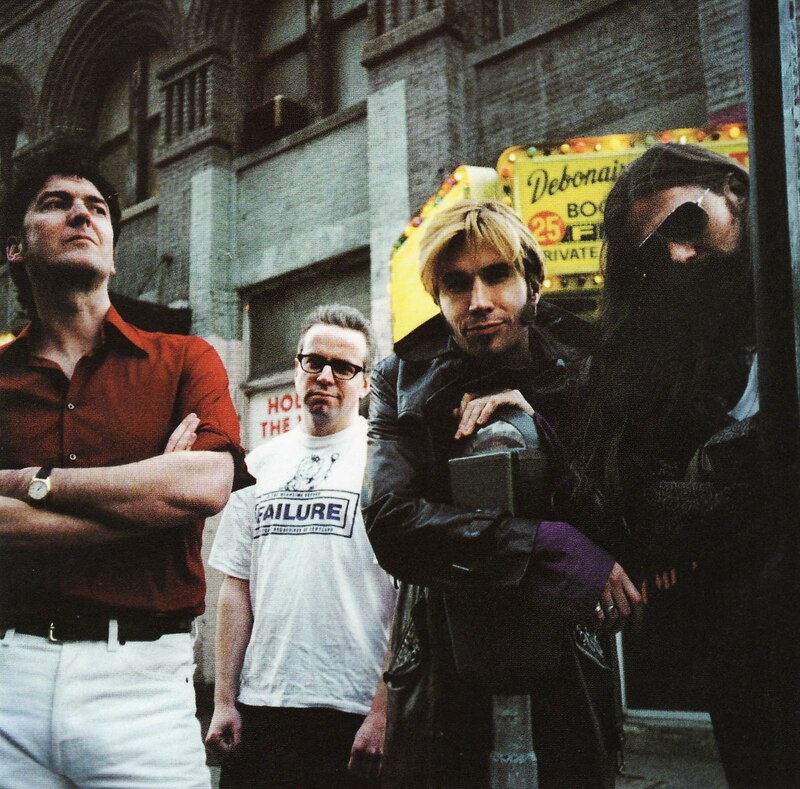 The title of this post reflects the difference between the common U.S. usage, "alternate" takes, with the description that appears on all the Dels singles from which these tracks are drawn, "Alternative Version". 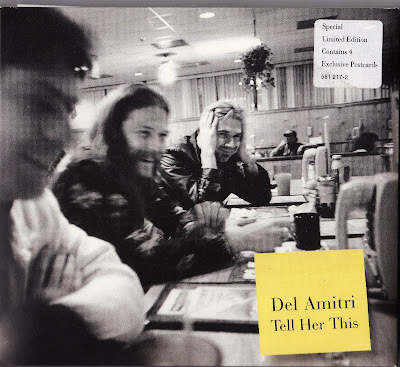 As the sticker on the above cover says, the "Tell Her This" single which provides one song here contained four "postcards" -- actually just photos of the band on card, with the a-side's lyrics on the back. As a little bonus to our final DARS collection, (a bonus to the bonus tracks?) I have posted those photos below as well. Yes, with this 11-track installment, the lion's share (pardon the pun) of our Del Amitri Rarities Series draws to a close. Over the course of ten posts, I have shared what I believe to be every single Dels track officially released* but not available on one of the band's six albums (including the reissue of the first album which added 3 b-sides) or the b-side compilation Lousy with Love . If I'm counting right, that's a total of 76 songs. Those six albums contain a total of 60-some songs (not gonna count 'em right now), so as I said at the series' inception, with these collections we have more than doubled the band's discography. The completist in me is del-ighted to have shared all of this, as this is one of the few bands whose every released track I believe I own. Don't fret, though, del-fans and Del-fans (see Vols. 1 and 2 for the distinction! ), as I intimated earlier there will be a few more exclusive goodies on offer in the next few days as well. Link in comments -- which are warmly welcomed. Thanks. I look forward to what you put up next. This has just been so awesome! I've thoroughly enjoyed this Dels series and I thank you so much for sharing! Hey PC, thanks for suggesting these to me in one of your earlier comments. I was never that big a fan of them in the past... A guy I worked with in the record store in the late 80's kept trying to convince me of their worth, but for some reason they just didn't click with me back then. This time around though I get it. So a BIG thank you. Hey Randy! I'm glad the Dels agreed with you! I figured there's often overlap between their fans and Costello's. Not to equate the two, but you know what I'm sayin'. I'd strongly suggest that you investigate their studio albums, and Lousy With Love too. Amazing the quality of songs that guy saved for his b-sides!. And as I said in the posts, that first album of theirs is a unique acoustic indie gem, very unlike their later slick commercial (well, would-be!) sound. 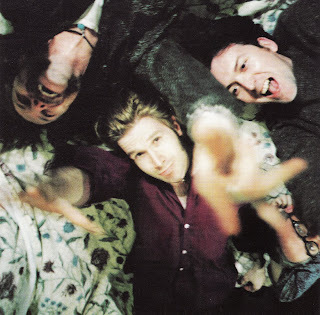 Thank you so much for all this DEL AMITRI stuff, I can never stop to thank you, I love your blog. Good luck with your blog, David! Congratulations! Greetings - I really enjoy your blog and appreciate all the excellent rare Del b-sides and live tracks. It always amazes me to find a band where the cd single tracks are as good, if not better, than the studio tracks. I was so inspired by your blog that I ordered a copy of Lousy With Love b-side disc. I was, however, a little disappointed with the lack of source information regarding the songs. I'd like to add the disc tracks in with your tracks to create a single chronology of the singles, etc. I was thinking you might be the perfect source for the track info. Would you be able to post the track info (source, year, etc.) for these songs? If not, completely understood...figured it couldn't hurt to ask. Thank you for the Del Amitri rarities. I first discovered Waking Hours back in early 1990 and bought their next few albums but sort of lost interest after SOSP. I remember hearing WXRT in Chicago playing some Del b-sides and the DJ saying how so much of their best stuff was only released on singles, but never really followed up on that until now. Thank you for all of the hard work and the generosity to share it. I am looking forward to diving in (and picking up Currie's solo albums as well). I'm also enjoying the Elvis Costello rarities, although I think I have most of them already, having bought the Ryko and then Rhino reissues of all of his albums. Thanks again, mate! Hmm, not sure why my account is coming up as "Jeffro" at the moment, but this is your trusty Pop Culturist here. RB - Great request. Rather than posting that info here, let me direct you to the Wikipedia entries on individual Dels albums, which also list singles and b-sides for the appropriate albums, that should help. If there's anything you can't find there, let me know. So glad I inspired you to purchase Lousy. 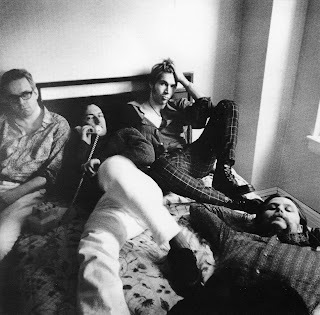 Rob - As you've hopefully found by now, ALL the Costello rarities I've shared here are NOT to be found on any of the Rhino reissues, and only a handful appear on the Ryko ones! Hence the "Gap-Pluggers" designation. Enjoy! Yes, I did notice that re the Elvis rarities. I had already tracked down many of them but the remainder are indeed welcome gap-pluggers. There's an early Del Amitri track called "What She Calls It" that I don't think is in your rarities posts -- do you know anything about it? Is it even them? Oh yeah, I forgot all about that track! I'll have to see if I can track it down. There is some info about it online, it was released as a flexi with a fanzine, and supposedly was lambasted by critics. Glad you found some EC you can use! A huge thank you!! I've been a Dels fan since Waking Hours, and managed to grab a large number of bootlegs from a German site about eight years ago but I've never had the chance for these. Thank you so much. So glad you dig it! Mind if I ask which boots you got from that site? And HEY! Here's a link to "What She Calls It"!!!!! Thanks for this series. I have just found your blog and filled the gaps of tracks I had missing. Much appreciated. Thanks a lot...this is excellent. Thanx a lot. Had many of the tracks before, but poor quality. This is like paradise! Great stuff, Any chance of a repost? Is it possible to reupload the files with zippyshare? The files uploaded with megaupload don't work anymore. Thanks for these. 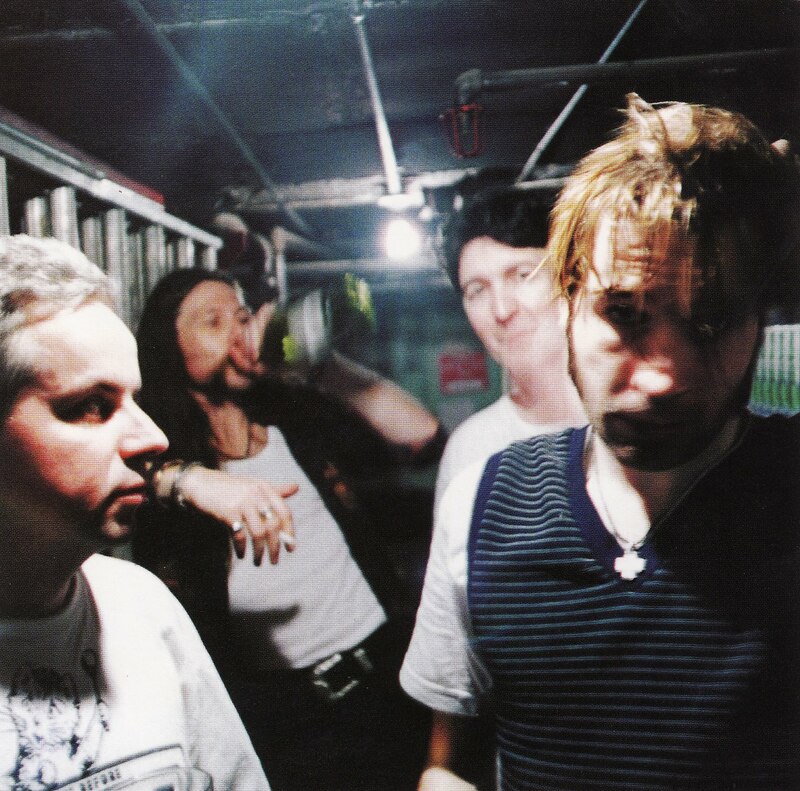 Any chance of reposting the Del Amitri Rarities 6-10 on Zippyshare please?